1. One Wrong THOUGHT Can Keep Your From Your God-Designed FUTURE. *Read the following verses to discover that the Israelites believed something that was not true and it kept them from the promise of God for 40 years. 2. Right Believing Will RELEASE You Into Your Divine Destiny. 3. You Have The Divine Power To CHOOSE. 4. Release The Power Of Right BELIEVING By Choosing God’s THOUGHTS In His Word. The Word says you are WONDERFULLY created. The Word says you are created in the IMAGE of God. The Word says you were created with PURPOSE and DESTINY. The Word says that you are more VALUABLE than you can imagine. The Word says that what’s true of JESUS is true of you! Key Question- What Is ONE Thought That You Need To Change To Renew Your Mind? Key Question- What Have You Stopped Praying About? “Now Jabez was more honorable than his brothers, and his mother called his name Jabez, saying, ‘Because I bore him in pain.’ And Jabez called on the God of Israel saying, ‘Oh, that You would bless me indeed, and enlarge my territory, that Your hand would be with me, and that You would keep me from evil, that I may not cause pain!’ So God granted him what he requested” (1 Chronicles 4:9-10, NKJV). Key Question- What Will You Start Praying About Today? This week we are challenging every married couple in our church to go on a date each week. Join us as work together to begin, "fixing us!" The 11th commandment of a happy marriage should be, "thou shalt date your spouse." 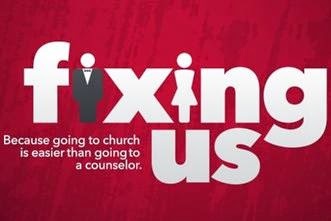 Counseling- Going to church is easier than going to a counselor but it's totally fine if you still need to see a counselor! If that's you, email hope@freedomlife.tv and we will send you some referral options for your area. Your life and marriage will be shaped by your vision of what you believe it should be. You have 5 days in your marriage, what are you believing for? 1. The day you meet. 2. The day you marry. 3. The day you have kids. 4. The day you have grandkids. 5. The day you bury your spouse or the day they bury you. 2. Stay Full Of FAITH In The Present. 3. Remember That You Are On The SAME TEAM. Key Question- Day 5 is approaching! Remember, momentum begins the moment that you take a step and begin to move forward. What step do you need to take today? Some of the stories and thoughts from this message can be found in my new mini-book called, "Momentum: How To Keep Moving Forward When Life Seems Stuck." It is currently available on kindle (click here).